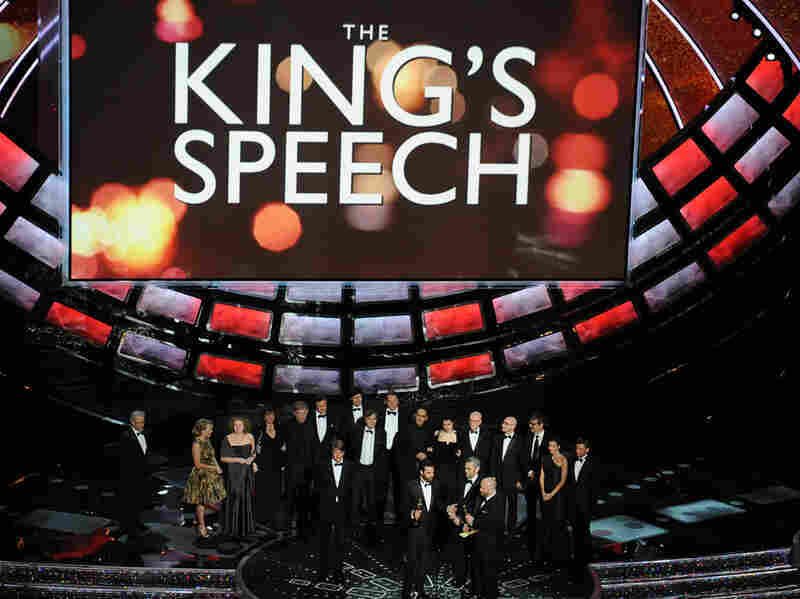 'King's Speech' Shines, But Oscar Show Stutters The odds-on favorite won Best Picture and dominated Sunday night's Oscars — but the telecast itself suffered from lackluster hosting, odd musical numbers and disjointed production. 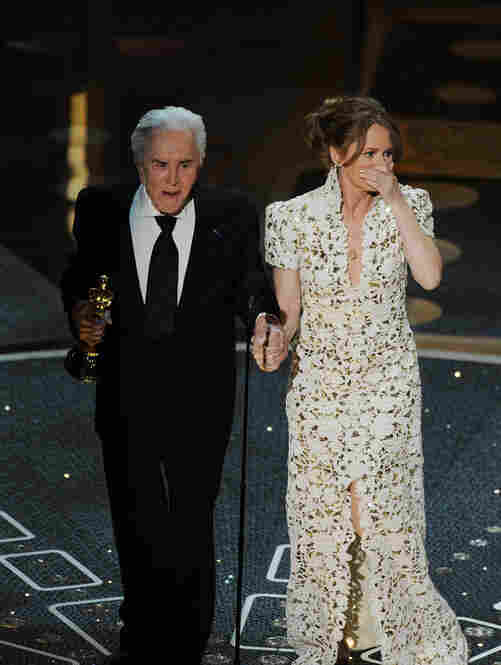 Sunday night's Oscars may be remembered for presenter Kirk Douglas' playful flirtation with Best Supporting Actress winner Melissa Leo (The Fighter) — or for the blurted-out profanity with which an excited Leo tested the academy's censorship reflexes. But they also may be remembered as the Academy Awards where almost nobody, except maybe the people who made Best Picture winner The King's Speech, had a very good time. 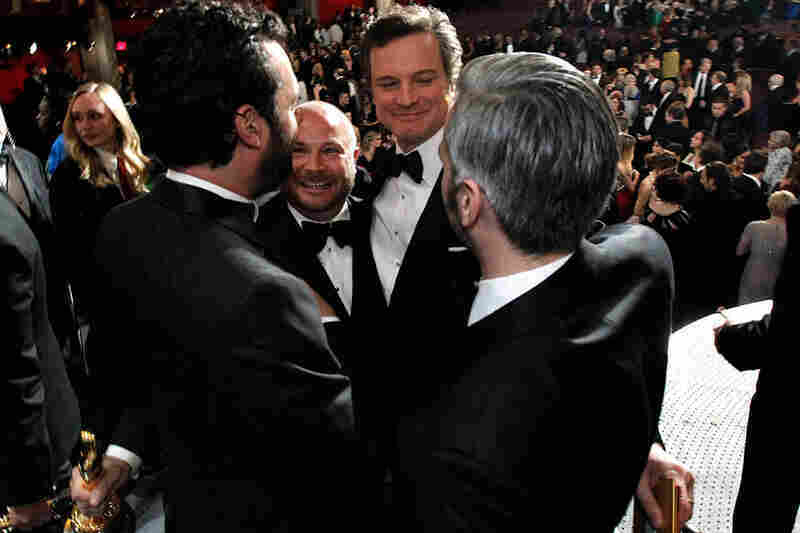 The awards themselves went as many prognosticators expected they would: The King's Speech won not only the top prize but also Best Actor (Colin Firth), Best Director, and Best Original Screenplay. 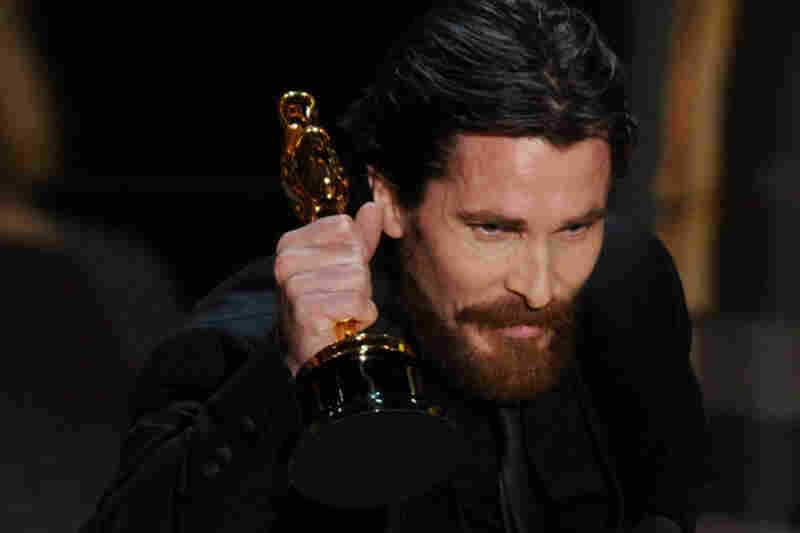 In the other acting categories, Natalie Portman took Best Actress for Black Swan and Christian Bale Best Supporting Actor for The Fighter. The Social Network took Best Adapted Screenplay, along with honors for its editing and score, while Inception won for cinematography — and cleaned up in the technical categories, including sound mixing, sound design and visual effects. Inside Job was named Best Documentary, Denmark's In A Better World Best Foreign Language Film and Toy Story 3 Best Animated Feature. It's hard to find much in the way of genuinely surprising — or even non-heavily favored — winners in that bunch. That's nobody's fault, but it eliminates one of the ceremony's potential shots of adrenaline. The telecast surrounding the awards was lackluster all on its own, despite efforts to bring in a younger audience by inviting actors James Franco and Anne Hathaway to host. After a pre-taped opener that was actually pretty funny, Franco and Hathaway stumbled out of the gate with banter that seemed awkward and unfocused. She was endlessly game and clearly trying, but he seemed sleepy and distracted, mumbling and stumbling over simple words like "Elizabeth" and "congratulations." They've both been engaging in other settings, but the pairing, promising as it had seemed, didn't work at all. It wasn't necessarily their fault, of course: Awards-show patter is often weak, and this year's material seemed particularly pained and charmless. And a couple of ill-conceived bits flopped hard. An Auto-Tuned song that incorporated Twilight dialogue wasn't really silly enough, believe it or not; it wound up seeming like a clumsy, halfhearted attempt to court kids who weren't watching anyway — especially not at almost 10:30 at night, when it aired. 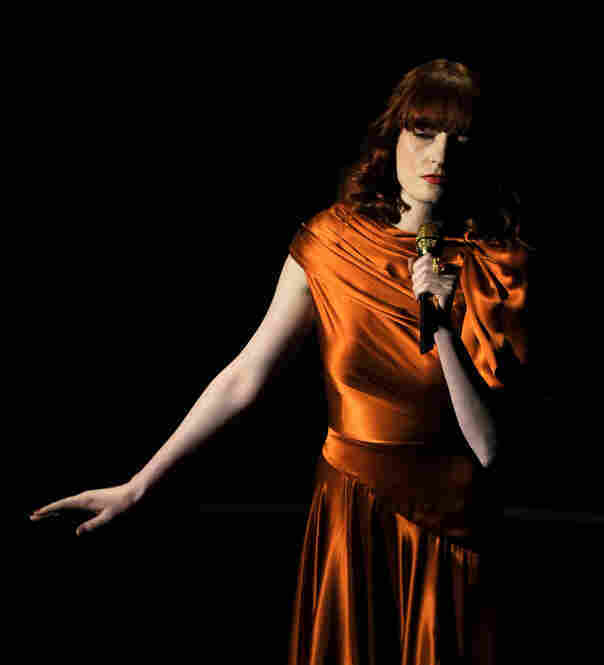 Those who saw Hathaway sing with Hugh Jackman when he hosted two years ago knew she'd get a musical number, but did it have to be an underdeveloped parody about ... feuding with Jackman? In a move that seemed inevitably self-defeating, Billy Crystal, who hosted the Oscars many times in the '90s, returned in the middle of the show to deliver a monologue. 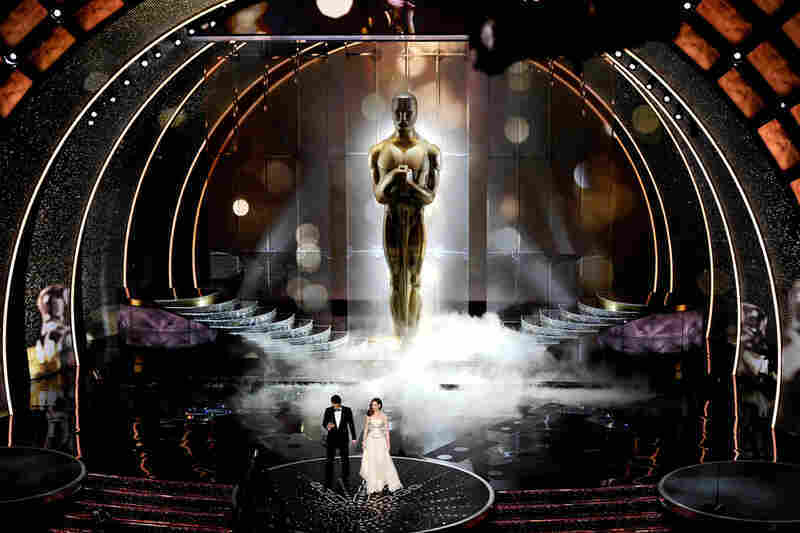 Far from livening things up, it only made it seem like the academy was showing two Oscar ceremonies that weren't working very well — one from the present, one that had been airlifted in from the past. Escapism, Documentaries, And ... Wait, What? The difficulties weren't limited to the hosting, however. There were head-scratchers in the scripting of things as seemingly simple as category introductions. Oprah Winfrey, for instance, came out and talked about how audiences can always turn to Hollywood for an escape when times are tough — only to turn on a dime and say she was there to present the award for non-escapist movies: Best Documentary. Why cram a salute to escapism into literally the least relevant place in the telecast? When you're presenting the award for Best Documentary, why not actually say something about the importance of ... you know, documentaries? And of course picking on the musical performances at the Oscars is kind of like shooting earnest, warbling fish in a softly spotlit barrel, but you can't energize an Oscar telecast by letting Randy Newman plunk out another song about remaining friends forever. Or by asking Gwyneth Paltrow to demonstrate that she is a pretty good singer, for an actress. Which is to say that the Original Song nominee showcases only took up a few minutes of screen time, and they can't be blamed for the state of the show — but they didn't do much to help, either. This year's telecast had a lot working against it to begin with. 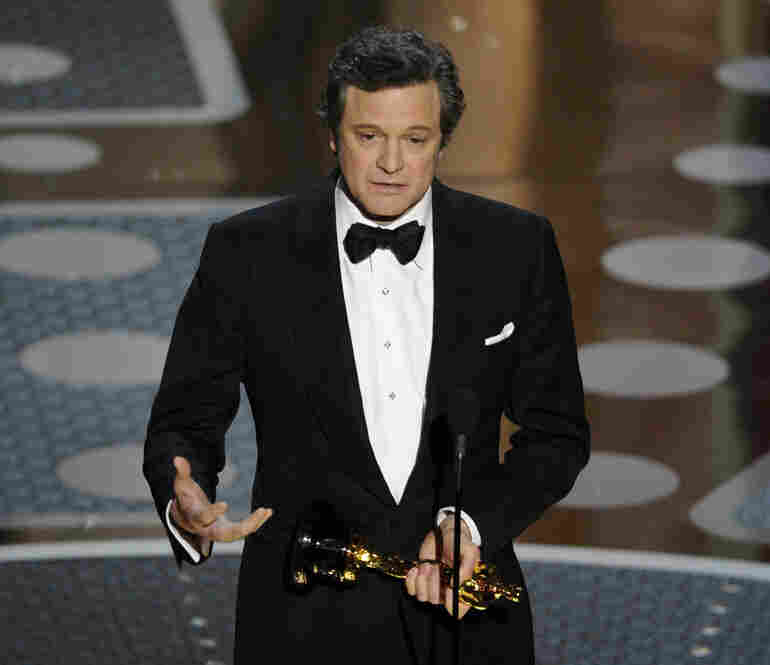 In particular, it had a very conventional and seemingly locked-in Best Picture favorite in The King's Speech. Compare that with last year's relatively suspenseful contest between two very different films — Avatar and The Hurt Locker. The acting awards went to the kinds of performances that are always most likely to win awards: Firth's elegant but tortured royal, Portman's crazed artist-athlete, and Leo's and Bale's big, noisy, dysfunctional mother and son. It felt at times less like the actual Oscars and more like a hypothetical, prototypical example of an Oscars at which nothing really happens. Maybe this demonstrates that it really does take a comedian to have even a chance of being reliably entertaining for several hours in a row. Maybe it demonstrates that too heavy a favorite is a bad thing. 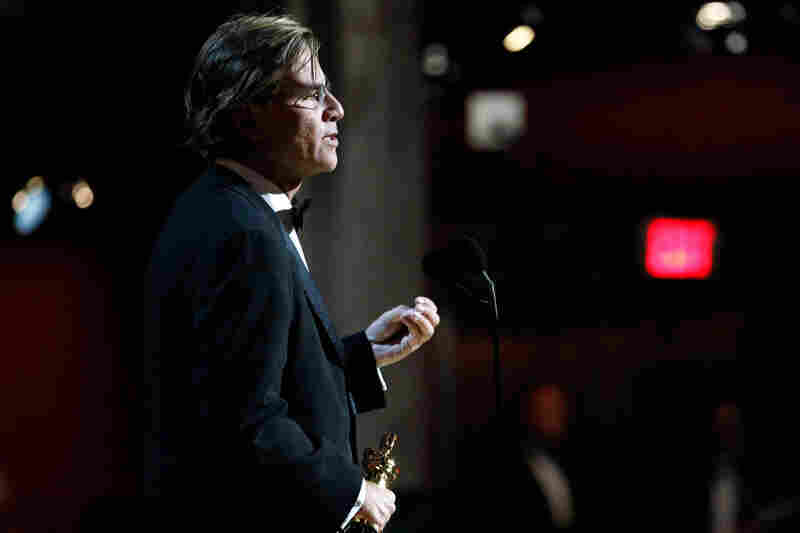 Maybe it demonstrates that too many precursor awards have made the Oscars anticlimactic. In any event, this was not the kind of show that's going to change the mind of anyone who's been drifting away from splashy events like this on TV.